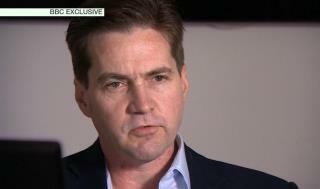 (Newser) – Whether or not Craig Wright invented bitcoin, his early involvement in the cryptocurrency is clear. According to the family of Wright's former business partner, Dave Kleiman, the pair founded a bitcoin mining and research firm that controlled between 550,000 and 1.1 million bitcoins by the time of Kleiman's death in 2013, reports the Verge. But that's when the family alleges Wright turned from pioneer to thief. In a lawsuit filed in Florida, the family claims Kleiman's estate owned between 50% and 100% of Florida-based W&K Info Defense Research when Wright forged Kleiman's signature on backdated contracts "that purported to transfer Dave's assets to Craig and/or companies controlled by him," per Bloomberg. Fools playing with fake money.